Thankfully, no one was injured during this little mishap. 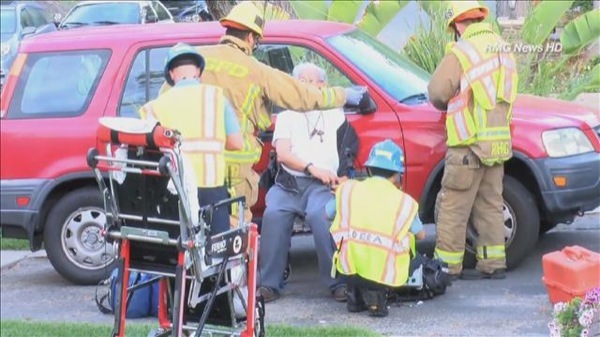 According to the neighborhood families, this is the second time that this man has had a vehicular incident involving one of his neighbor’s houses. However, the elderly man blames this peculiar incident on a mechanical issue within the CTS. In any event, we expect that this kind of driving to be much more difficult in the all-new 2014 CTS, and its wide assortment of safety equipment. Whoever built those roof trusses can frame my house anytime! I’ve heard of a cat on a hot tin roof, but a C(a)TS? elderly drivers are dangerous behind the wheel and need to either have their licenses removed or be forced to buy subcompacts if they want to drive. 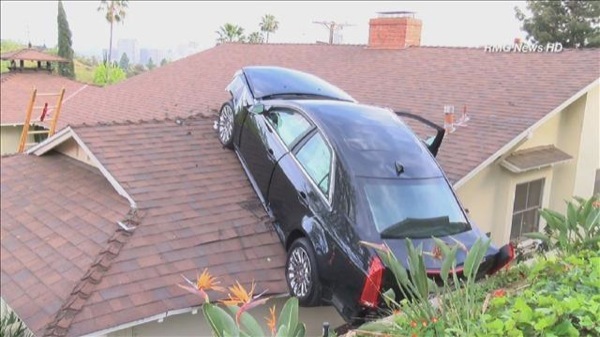 on a different note how will the car be removed from the house? a crane? I agree with the notoriety of elderly drivers, even if it sounds politically incorrect. If people have to stop working at 67, there’s no reason why they should keep on driving by then. No way. Make everyone take an actual road test. I think they should do this to all of us once in a while. But there is no reason to just yank a persons driving privileges just because they reach a certain age. I road around with my grandmother for years and felt perfectly safe. Every time I get in a car with my father, I am terrified I am going to die. Age is not the issue, ability is. That’s one heeuva place to park the car. Did he need a change of clothes afterwards? Rocky, thanks for the link to the rest of it.